Zarathustra who are you? Are you the book for all and none? At the age of thirty you go into the wilderness and enjoy your spirit and your solitude. You had been there for ten years. What did you bring to us? Did you bring happiness or emancipation? Zarathustra the time has come. We shall meet. Zarathustra this is the gathering. This is our meeting. The meeting of two personalities is like the contact of two chemical substances: if there is any reaction, both are transformed. That is the Jungian notion. So we are transformed Zarathustra. This is our transformation. Transformation is intricate. It appears to be complicated. Thousands of years ago Confucius said life is really simple, but we insist on making it complicated. Indeed Zarathustra we made it complicated. Let us simplify life. Simplifying life is a great journey. It is renunciation. With renunciation life begins. Zarathustra I need to understand. I need self realization. I follow the universal elements that are tangible. I need knowledge that can be understood. As Rene Descartes said everything is self-evident. I am looking for the Aha! Experience. Knowledge is experience, everything else is just information. I am not in this world to live up to other people's expectations, nor do I feel that the world must live up to mine. Instead I am looking for truth. Zarathustra what is truth? Truth is by nature self-evident. As soon as you remove the cobwebs of ignorance that surround it, it shines clear. Do you believe that? One universal truth is everything changes and that nothing stays the same. Life is a series of natural and spontaneous changes. Don't resist them - that only creates sorrow. Let reality be reality. Let things flow naturally forward in whatever way they like. Let the river flows in you. Life belongs to the living, and he who lives must be prepared for changes. Zarathustra you spoke of silence. I agree with thee. Silence is worse; all truths that are kept silent become poisonous. Silence is on the other hand argument carried out by other means. Who said that the silence like a cancer grows? May be he was wrong. Silence is a source of great strength. Science is organized knowledge. Wisdom is organized life. Do you concur? Anyhow what cannot be said above all must not be silenced but written. Zarathustra there is no great genius without a mixture of madness. Therefore do not let them laugh in your face. Lose your mind and come to your senses. Then climb the highest mountain. He who climbs upon the highest mountains laughs at all tragedies, real or imaginary. Remember Khalil Gibran once said: wisdom ceases to be wisdom when it becomes too proud to weep, too grave to laugh, and too selfish to seek other than itself. Anyhow you have the last laugh Zarathustra. I know it as a fact. Zarathustra you said: I would only believe in a God that knows how to dance. Are you referring to the God Nataraja - the cosmic dancer who performs his divine dance to destroy a weary universe and make preparations for the god Brahma to start the process of creation? Did you see the cosmic dance of Shiva? Do not listen to me Zarathustra. But listen to the the words of Carl Sagan. He said that here is the deep and the appealing notion that the universe is but the dream of the god who after a 100 Brahma years… dissolves himself into a dreamless sleep… and the universe dissolves with him… until after another Brahma century… he starts… recomposes himself and begins again the dream… the great cosmic lotus dream. Do you believe in the words of Carl Sagan? Zarathustra what is your explanation? I think in simple. Perhaps the Cosmos itself undergoes an immense an infinite, number of deaths and rebirths. Shiva's dance may be the dance of subatomic matter. Can you see the particles smaller than atoms dancing according a celestial rhythm? I think Michio Kaku saw the celestial rhythm. He said: in string theory, all particles are vibrations on a tiny rubber band; physics is the harmonies on the string; chemistry is the melodies we play on vibrating strings; the universe is a symphony of strings, and the 'Mind of God' is cosmic music resonating in 11-dimensional hyperspace. Zarathustra, you spoke of ashes. What you meant when you said: you must be ready to burn yourself in your own flame how could you rise anew if you have not first become ashes. Are you talking about Phoenixes? Phoenixes burst into flame when it is time for them to die and are reborn from the ashes. Smoke your pain but keep the ashes forever. What you see at the end only ashes. I recall what Robert Oppenheimer said: I am become death, the destroyer of worlds. One must have chaos within oneself, to give birth to a dancing star. Shiva is the dance. Shiva is the symbol of 'Brahmn', the universal consciousness. Zarathustra, do you believe in creation? Listen to the different versions. The lord Vishnu, the protector and caretaker of all creation, sleeps in the middle of a vast ocean on the giant snake Sheshnaga. When the cycle begins, Lord Brahma is born out of the 'Anda', an allusion to the egg which is the origin of all life. This 'Anda' comes out of the navel of Lord Vishnu. The first sound of Lord Brahma is Om, the origin of all creation. In the beginning, when God created the universe, the earth was formless and desolate. The raging ocean that covered everything was engulfed in total darkness, and the Spirit of God was moving over the water. Then God commanded, “Let there be light”—and light appeared…..And God said, Let us make man in our image, after our likeness: and let them have dominion over the fish of the sea, and over the fowl of the air, and over the cattle, and over all the earth, and over every creeping thing that creepeth upon the earth. In the Agganna Sutta Bhagavath Gothama says: There comes a time, Vâseþþha, when, sooner or later, after the lapse of a long, long period, this world passed away. And when this happens, beings have mostly been reborn in the World of Radiance; and there they dwell, made of mind, feeding on rapture, self-luminous, traversing the air, continuing in glory; and thus they remain for a long, long period of time. There comes also a time, Vâseþþha, when sooner or later this world begins to re-evolve. When this happens, beings who had deceased from the World of Radiance usually come to life as humans. Zarathustra do you understand the process? If not think what William Shakespeare said: All of Creation’s a farce. Man was born as a joke. This is what Karl Marx told us: Man is directly a natural being. As a natural being and as a living natural being he is on the one hand endowed with natural powers, vital powers — he is an active natural being. These forces exist in him as tendencies and abilities — as instincts. On the other hand, as a natural, corporeal, sensuous objective being he is a suffering, conditioned and limited creature, like animals and plants. ... A being which does not have its nature outside itself is not a natural being, and plays no part in the system of nature. A being which has no object outside itself is not an objective being. But remember one thing: the absence of evidence is not the evidence of absence. The Cosmos is all that is or was or ever will be. Our feeblest contemplations of the Cosmos stir us -- there is a tingling in the spine, a catch in the voice, a faint sensation, as if a distant memory, of falling from a height. We know we are approaching the greatest of mysteries. Zarathustra, the creation of something new is not accomplished by the intellect but by the play instinct acting from inner necessity. The creative mind plays with the objects it loves. What we are today comes from our thoughts of yesterday, and our present thoughts build our life of tomorrow: Our life is the creation of our mind. We are shaped by our thoughts; we become what we think. When the mind is pure, joy follows like a shadow that never leaves. Zarathustra, Osho says that each person comes into this world with a specific destiny--he has something to fulfill, some message has to be delivered, some work has to be completed. You are not here accidentally--you are here meaningfully. There is a purpose behind you. The whole intends to do something through you. Never forget: you can avoid reality, but you cannot avoid the consequences of avoiding reality. Remember Zarathustra the mind is everything. What you think you become. Zarathustra, you are preaching on Overman- Man who is above human a superman. He is the one who is willing to risk all for the sake of enhancement of humanity. "Man is a rope, tied between beast and overman--a rope over an abyss... What is great in man is that he is a bridge and not an end: what can be loved in man is that he is an overture and a going under. Overman is the one who is willing to risk all for the sake of enhancement of humanity. Keep in mind Zarathustra great men are like eagles, and build their nest on some lofty solitude. Zarathustra, according to Confucius the superior man, when resting in safety, does not forget that danger may come. When in a state of security he does not forget the possibility of ruin. When all is orderly, he does not forget that disorder may come. Thus his person is not endangered, and his States and all their clans are preserved. What makes Superman a hero is not that he has power, but that he has the wisdom and the maturity to use the power wisely. What's special about Superman is that he will always make the right choice. Zarathustra, some say knowledge is power. No man's knowledge here can go beyond his experience. Man can do what he wills but he cannot will what he wills. A man can be himself only so long as he is alone, and if he does not love solitude, he will not love freedom, for it is only when he is alone that he is really free. Real knowledge is to know the extent of one's ignorance. The man of knowledge must be able not only to love his enemies but also to hate his friends. Zarathustra, all our knowledge begins with the senses, proceeds then to the understanding, and ends with reason. There is nothing higher than reason. There are no facts, only interpretations. Life begins where fear ends. The world is independent of our will. If men were born free, they would, so long as they remained free, form no conception of good and evil. Man is a universe within himself. Zarathustra, information is not knowledge. True knowledge is love and light and vision. Knowledge is the true organ of sight, not the eyes. The only true wisdom is in knowing you know nothing. Zarathustra, Spinoza thought that there is no free will. Free will is an illusion. Listen to Albert Camus. Whereas the Greeks gave to will the boundaries of reason, we have come to put the will's impulse in the very center of reason, which has, as a result, become deadly. Zarathustra, I didn't lie! I just created fiction with my mouth. Do you know that life is largely a matter of expectation? What is the happiness in your life? The greatest happiness is to know the source of unhappiness. Man only likes to count his troubles; he doesn't calculate his happiness. Zarathustra, grow enthusiasm in you. Enthusiasm has great strength. There is no greater strength than enthusiasm. There is nothing which is not attainable in this world for the enthusiastic. In the realm of ideas everything depends on enthusiasm... in the real world all rests on perseverance. Zarathustra, act intelligently. Intelligence can accomplish things more easily than army and weapons.Out of your vulnerabilities will come your strength. Remember Zarathustra three things cannot be long hidden: the sun, the moon, and the truth. There's a world of difference between truth and facts. Facts can obscure the truth. Truth can be stated in a thousand different ways, yet each one can be true. The discovery of truth is prevented more effectively, not by the false appearance things present and which mislead into error, not directly by weakness of the reasoning powers, but by preconceived opinion, by prejudice. Zarathustra, you speak for truth and seek justice. There is no such thing as justice in the abstract; it is merely a compact between men. Injustice anywhere is a threat to justice everywhere. Time is the justice that examines all offenders. Perhaps there is no justice in this world only power. We have all become power worshipers. Where there is power, there is resistance. I heard Michel Foucault saying that freedom of conscience entails more dangers than authority and despotism. The world itself is the will to power - and nothing else! And you yourself are the will to power - and nothing else! But I agree with Mahatma Gandhi -Power is of two kinds. One is obtained by the fear of punishment and the other by acts of love. Power based on love is a thousand times more effective and permanent then the one derived from fear of punishment. Zarathustra, you said -Gott ist tot or the God is dead. God remains dead. And we have killed him. “Is man merely a mistake of God's? Or God merely a mistake of man?” Listen to Anthony Hopkins. Our existence is beyond our explanation, whether we believe in God or we have religion or we're atheist. Our existence is beyond our understanding. No one has an answer. Zarathustra, I hear your moral preaching. Tell me what are morals? Remember Wild? We nailed him and banished him. At the end he stated: Morality is simply the attitude we adopt towards people whom we personally dislike. Morality is the herd-instinct in the individual. I think compassion is the basis of morality. A moral being is one who is capable of reflecting on his past actions and their motives - of approving of some and disapproving of others. Zarathustra, what is suffering? Buddha saw Dukkha or suffering in birth, suffering in existence and suffering in death. Life is suffering, suffering of change impermanence therefore suffering. Zarathustra, do not cling to the word suffering. It's not what it means. Its not anguish, misery or agony. It has a universal meaning. Dukkha is not day-today suffering. It has a deep philosophical meaning. Zarathustra, mind precedes all mental states. Mind is their chief; they are all mind-wrought. If with a pure mind a person speaks or acts happiness follows him like his never-departing shadow. Zarathustra, try to find a meaning in suffering. A suffering without a meaning is utter despair. Follow Frankl. When we are no longer able to change a situation, we are challenged to change ourselves. Zarathustra to live is to suffer; to survive is to find some meaning in the suffering. Read the Book of Revelation: He will wipe away every tear from their eyes, and death shall be no more, neither shall there be mourning, nor crying, nor pain anymore, for the former things have passed away. Zarathustra, what is evil? I read Aleksandr Solzhenitsyn’s, The Gulag Archipelago: “If only it were all so simple! If only there were evil people somewhere insidiously committing evil deeds, and it were necessary only to separate them from the rest of us and destroy them. But the line dividing good and evil cuts through the heart of every human being. And who is willing to destroy a piece of his own heart? Remember knowing your own darkness is the best method for dealing with the darknesses of other people. Zarathustra, A man who stands for nothing will fall for anything. I follow Oscar Harris. Racism isn't born, it's taught. It is learned behaviour. When you have your boot on someone's neck, you have to justify it. Racism is a refuge for the ignorant. Our true nationality is mankind. Zarathustra, we are our choices. You are -- your life, and nothing else. Man is condemned to be free; because once thrown into the world, he is responsible for everything he does. He was free, free in every way, free to behave like a fool or a machine, free to accept, free to refuse, free to equivocate; to marry, to give up the game, to drag this death weight about with him for years to come. He could do what he liked, no one had the right to advise him, there would be for him no Good or Evil unless he thought them into being. Zarathustra these are the words of Jean-Paul Sartre. The one who has conquered himself is a far greater hero than he who has defeated a thousand times a thousand men. Zarathustra, Freedom is nothing but a chance to be better. The only way to deal with an unfree world is to become so absolutely free that your very existence is an act of rebellion. The free man is a warrior but do not worship the hero. Hero-worship is strongest where there is least regard for human freedom. Freedom in society is gauged by our success in getting what we want and conditioned by status and power, by race, class and gender. In the internal world of the psyche, however, freedom means something very different. It is the ability to opt for our long-term physical and spiritual well-being as opposed to our immediate urges. Absent that ability, any talk of ‘free will’ or ‘choice’ becomes nearly meaningless. Zarathustra, do you hear Richard Wagner - the Ride of the Valkyries. Did you notice the Apollonian- Dionysian duality? The two forces prevalent in the human world. Human mind is sometimes Apollonianism and sometimes Dionysianism. It is the conflict between emotion and reason. This is the birth of tragedy. Tragedy is around us. Zarathustra, do you fear death? Everywhere resounds the voices of those who preach death; and the earth is full of those to whom death must be preached. Only where there are graves are there resurrections. The dread of evil is a much more forcible principle of human actions than the prospect of good. Death is not the worst thing; rather, when one who craves death cannot attain even that wish. Zarathustra Did you listen to Goethe's great dramatic poem Faust? A man who sold his soul to the Devil. Remember what he said Zarathustra: “Wild dreams torment me as I lie. And though a god lives in my heart, though all my power waken at his word, though he can move my every inmost part - yet nothing in the outer world is stirred. Thus by existence tortured and oppressed I crave for death, I long for rest.” One thing is sure - Age is no second childhood—age makes plain, Children we were, true children we remain. Zarathustra, read Dante’s Divine Comedy. Read it every day. There is no greater sorrow than to recall happiness in times of misery. The man who lies asleep will never waken fame, and his desire and all his life drift past him like a dream, and the traces of his memory fade from time like smoke in air, or ripples on a stream. This is how it ends Zarathustra: Everything has to come to an end sometime. All that must disappear is but a parable. Nobody can go back and start a new beginning, but anyone can start today and make a new ending. I repeat the words of Jiddu Krishnamurti: The end is the beginning of all things, Suppressed and hidden, Awaiting to be released through the rhythm of pain and pleasure. · Bhagavad Gita: A New Translation (2002). Harmony; Reprint edition. · Dante, A. The Divine Comedy. · Frankl, V.(1992). Man's Search for Meaning. Beacon Press. · Marx,C. (1996). Das Kapital: A Critique of Political Economy, Volume One.Regnery Publishing. · Maté, G. (2009). In the Realm of Hungry Ghosts: Close Encounters with Addiction.Vintage Canada. 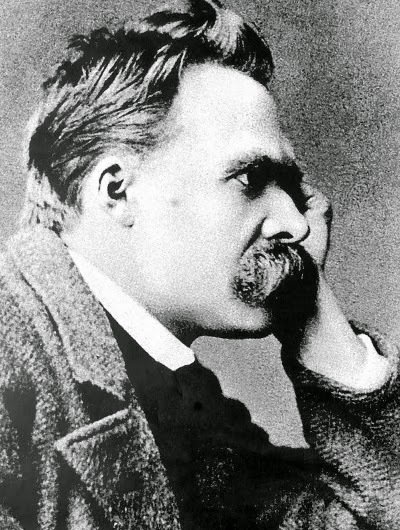 · Nietzsche, F.(2006). Thus Spoke Zarathustra.Cambridge University Press. · Orwell, G.(1977). 1984. Signet Classic. · Sagan, C. (2011). Cosmos.Random House. For recovering propaganda victims. Thank you.